So four days ago, Intex launched the newest member to their fitness trackers family fitting under the term "FitRist Pulzz". This new fitness smartband is initially geared towards fitness activities, while we can consider this an upgrade to their existing Fitrist Band that we're familiar with from about few months. So the FitRist Pulzz has lot's of decent updates concerning the actual hardware and the design, So today let's find out more about the new Fitrist Pulzz band. It features a 0.66 inch OLED display having a 64*48 resolution. It also houses a Heart rate & Tri-Axis sensor. It has Bluetooth 4.0, which is the primary factor for connecting the FitRist Pulzz with your smartphone. It is Water resistant & Splash-proof, just like the earlier FitRist band. Intex guarantees up to 7 Days of battery life with the new FitRist Pulzz. It will be compatible with Android 4.4 or Above & iOS 7 or above. The FitRist Pulzz weighs about 28.6 gms. It will show you notifications based upon incoming calls, texts from WhatsApp or Facebook Messenger, etc. It would be available in four different color options: Black, Blue, Green & Violet. So the new FitRist Pulzz band has a newer, broad and a sleek design when compared to the earlier FitRist Band. The new FitRist Pulzz comes with some compelling features such as hydration reminder alarm, a personal burn meter, a heart monitor and also helps in guiding users to plan their fitness schedule. Apart from that, it has the usual steps count, distance measurement, calories burnt Stats, Etc. You can also control the music track via the band itself which would be synced via your phone. Whereas the Remote shutter option also makes its way to the newer FitRist Pulzz. The Band is also capable of tracking down your phone with just a few taps, and this also works Vice-Versa. 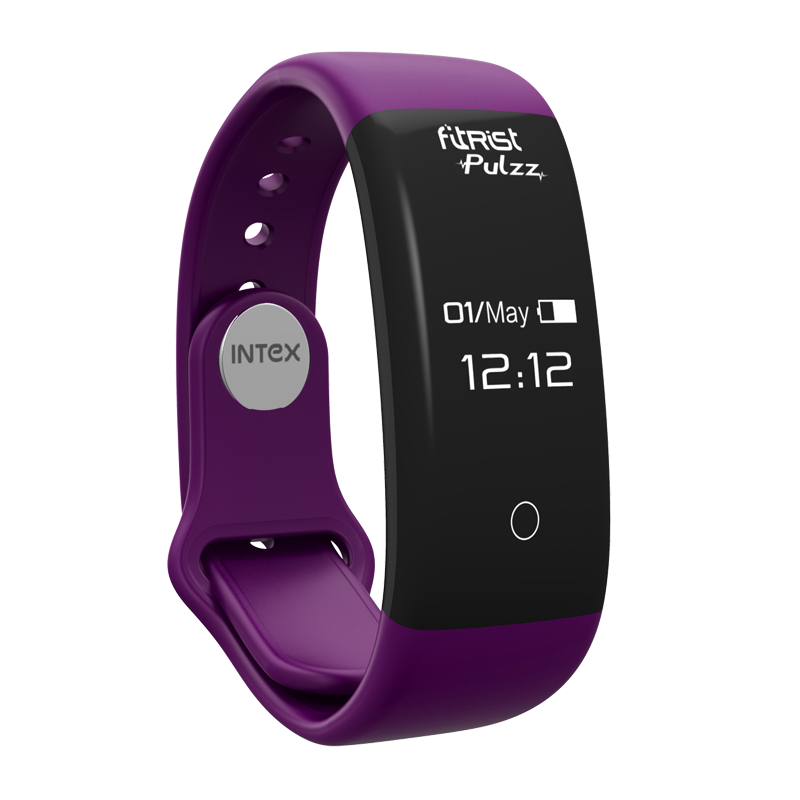 Just like the earlier FitRist Band, the new FitRist Pulzz fitness band has a single-point-touch display. 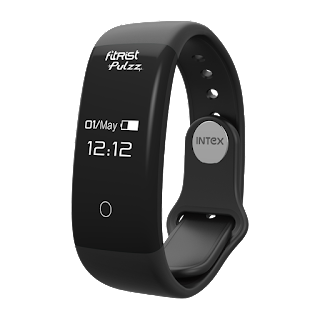 During the launch, Mr. Keshav Bansal, Director, Intex Technologies commented, “With a growing awareness of fitness as a part of youths lifestyle, we have expanded our wearable smart band offering with the new FitRist Pulzz for the fitness conscious & tech savvy youth. We are happy to partner with Flipkart for bringing this new fitness device exclusively to consumers & We are confident that the platform will ensure quality reach." This was their first smartband, since then up until now, A lot has changed concerning user experience & it's actual usability. So FitRist Pulzz brings some additional changes as an upgrade, whereas the new design feels appealing to the eyes. On top of that with the purchase of FitRist Pulzz, Customers are eligible to avail a free one strap which comes inside the box. It is priced for around Rs. 1,799, and it's available exclusively via Flipkart. It has been wisely priced when it comes to competitors offering SmartBands with a similar set of specifications. Will it win the battle with Mi Band 2, Samsung Gear Fit 2 or the recently announced GoQii 2.0 band? Let us know in the comments below. Whereas Yes, I do wonder what's with the whole ZZ.. thing.